Alhamdulilah, the Muslim Students’ Association (MSA) has done wonders for me. I grew up in a household that always encouraged Islamic Education, so up until high school, I attended an Islamic school. During high school, I, like many youth, struggled to understand who I was; it was at the end of high school that I realized how important Islam was in my life. When I graduated high school and became a university student, I was blessed with a feeling of community. The MSA was a community of fellow young Muslims who either had an appreciation for an Islamic lifestyle, or were trying to find that appreciation. Now that I am going into my second term as President of my university’s MSA, I realize that I should be providing you all with some articles regarding MSA. I have experienced a lot through MSA. As the President, I have experienced a lot of challenges as a leader; when I was Secretary, I experienced a lot of challenges as an executive board member; when I was just a regular MSA member, I experienced a lot of challenges fitting in, but also I enjoyed many memories. Bi idhinillah, in the near future I will share various articles on my experiences. Moreover, I have many friends around the country who may want to share their thoughts on MSA. Today though, I would like to discuss the overall concept of an MSA, and explore the opinions of the supporters and opponents of the MSA. Hopefully with this knowledge, we can all walk out feeling a little more enlightened on the matter. Her advice for me was balance — to incorporate both these definitions into my policy as President and as an executive board member. At the end of the day, it is the “Muslim” Students’ Association, meaning that inherently it should be maintaining Islamic values of a masjid, or a mainstream Muslim community. On the other hand, we have Muslims that are local to the university, but also Muslims that are far from home. MSA is meant to become their second homes. Therefore, it is mandatory for the MSA to be a social space for these students as well – meaning, provide Muslim students with fellow colleagues that they can relate to and support as they travel the university journey! The MSA being an organization run by young Muslims, it is a given that different groups of people have different opinions on MSAs on campus, which is totally expected and fine for anybody to have. There is a large crowd that supports the MSA, and at the same time, there is a diverse crowd that opposes or criticizes the MSA. In my observation, the opposition’s demographics are quite diverse. On the other hand, the MSA does have a diverse crowd of supporters as well. Here are some general sub-groups within the anti and pro-MSA population. The Islamophobes: Generally, they tend to fear the MSA’s very existence, perceiving it to be a youth-wing of political Islamic organizations on Western campuses. I’ve even heard the MSA being referred to as “Hamas on Campus”, which is based on the general humanitarian efforts that active MSAs nationwide promote (usually regarding the raising funds for humanitarian aid in oppressed regions such as Palestine). To this specific group, we give the “cool story, bro” treatment. The Aunties and Uncles: May Allah preserve our elders, ameen! They are the very people who established our Muslim communities in this country. They tell us stories of how the masjid used to be Uncle so and so’s basement. Therefore, we truly are grateful for their ground-breaking contributions. Nevertheless, some of our elders oppose the Muslim Students’ Association but not their very existence. Rather, they criticize the MSA based on their understanding of the culture of Muslim youth on campuses. They generalize the youth to be involved in irresponsible acts such as smoking hookah, interacting inappropriately with the opposite gender and being unproductive students. Others: Other groups have their criticisms of MSA, including other students on campus. A common criticism I tend to hear from students is that MSA is the “righteous/pious brother and sister club” where all members are judgmental and nosy towards each other. Other students feel like the MSA is exclusive, cliquey and simply unwelcoming – they point out how the social culture of MSA can be problematic. A general consequence of cliquey environments is gossip and drama. Consequences like these can socially make MSA a very undesirable environment for students, whether they just joined MSA this year or are MSA veterans! The Zealous MSA member: May Allah preserve our young, energetic, active youth community members, ameen ya rabb! Those who dedicate their time and money on the Muslim community. This is that handful of young brothers and sisters that you see always at the masjid, promoting events, and just making the greatest effort to serve their people. You tend to see them more often at the halaqas and conference road trips, but less often at the banquets and game nights. They tend to be perceived as the good crowd, in the sense that they empower those who spend time with them (see the Perfume Seller for further elaboration). Anyways, they tend to support the MSA with their ideas, and volunteering. They view the MSA as an opportunity to gain rewards, and they don’t take that lightly. They’re the type of brothers and sisters that make last minute pick-ups for an event, or help gathering the people to clean up after one. Nevertheless, these are the MSA’s gems and we pray that Allah ﷻ continues to shower them in blessings even after college is over, ameen! Others: Then there are the normal group of students that have expressed gratitude towards the MSA for benefits they received through their involvement in the organization. Some students give credit to the MSA for gaining a newfound appreciation for their faith, while others appreciate the programs they provide students on campus. Some just feel like without MSA they would not have a solid, positive group of friends on campus. After explaining most of the general views regarding MSA, did any of them raise important points of critique? Some of these opinions, to be frank, are definitely on extreme sides of the spectrum. For example, to believe that the MSA is some sort of youth-wing from political Islamic organizations is quite a reach. In addition, when your evidence for such a claim is that the MSA loves to raise money for starving orphans in Gaza, it is certainly hard to take seriously. The elders who think MSA is basically a social club where one commits all the harams (just in the company of fellow Muslims) are also probably extreme in their criticism. Nevertheless, there are some genuine critiques that need to be addressed. First off, the mentality that the MSA is this exclusive, self-proclaiming, religious brothers and sisters’ club is a real mindset that students perceive. Students feel this way because of how other students treat them when they err in public. For example, sisters who spend a lot of time with brothers in a friendly manner are often alienated from the sisters’ side, and labeled all sorts of things. Brothers as well: when they see that one brother that’s not as outwardly practicing as them, they push them away. This is a major disservice towards the MSA, and this is not what the MSA is about. The MSA was established to unify Muslims on campus and to be a support network for Muslim students in this country. If Muslims on campus were truly a community, they would hold on to these brothers and sisters outwardly making mistakes and encourage them to do better. No one is perfect. Ibn Al-Jawzi (may Allah be pleased with him) once said, “Know that if people are impressed with you, in reality they are impressed with the beauty of Allah’s covering of your sins.” Do not forget that if you are in a position where the people view you as “righteous,” that you and Allah ﷻ both know what you really do behind closed doors. Be someone who uplifts people. When you see your Muslim brother or sister doing something you do not believe is right, show them a better way of living, and do not exclude them from better company. 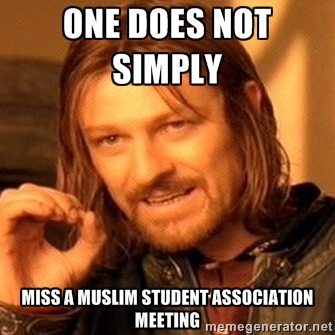 In addition, a similar and common grievance that Muslim students share about MSA is how exclusive the MSA is in a social sense – how members are involved in clingy social circles that do not want to reach out to new members, which eventually makes new members feel left out. It is definitely understandable that when you see people you are more familiar with, you feel more comfortable with them and you want to stick by their side. Nevertheless, especially to members of the executive board: you cannot just leave new members out of all the plans you and your friends have. Make the new members feel like they are part of your MSA, and include them when you are going for pizza or trying to play basketball. Sticking to your regular social circle and leaving the new kid out is extremely insensitive. If you have never moved out of your community and had to start your social life all over again, this can be hard to understand. I have had friends who moved to different regions of the country, and if it were not for good people that reached out and included them in everything, they would have been left out as well. MSA members: please keep that in mind as you go into your school year! Specifically, local MSA members have a major responsibility to make the non-local MSA members feel welcome in your community. They are far from home, they miss their families, and they do not have the same bond to the imam and masjid of your city like they did back home – be considerate and reach out to them. Moreover, when there are cliques, there is disunity. Brother so-and-so does not like brother so-and-so because of this. Sister so-and-so does not like sister so-and-so because of that. It may not be apparent to the members in these childish feuds, but it makes the MSA looks dysfunctional when members are fighting with one another – especially when executive members are involved. 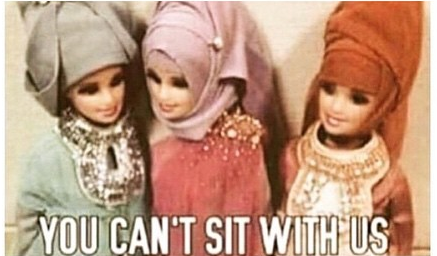 Why would Muslim students want to join an MSA that is run by people who lack maturity? Why would Muslim students want to enter an environment where brothers/sisters are turning on one another? A solution to this problem is to refrain from speaking ill of others, and to be more sensitive to one another’s feelings. If you do not like what someone is doing, rather than speaking of them behind their back, reach out to them in private. Show them a better way of living through your own actions! This is false. A proper education is the most important part of a college experience. Every MSA member should be active in the MSA, but never to the point that it hurts your education. School comes first, MSA comes after in shaa Allah. Often times, really bright Muslim students get pressured to sacrifice valuable time of studying in order to volunteer their services to their MSA. This is not right. Ma shaa Allah, I continue to pray for these bright students that work so hard for MSA, but if everyone does their part as members, no student will feel like they are carrying the MSA. After leaders graduate, there will be more members that know the responsibilities of running the organization. Never sacrifice your future, for a 4-year experience. You want to help the Muslims? Great: do well in school – get a job, and raise money for the many initiatives that Muslims need. And do not pursue a profession for the salary, pursue it because you feel like you can be of assistance to your community with this career! Muslims are low in numbers when it comes to fields such as social work and law. Nevertheless, sacrificing your academics for MSA is counterproductive! I hope I’ve made that clear. I have traveled around and analyzed many MSAs. I’ve realized that we all have similar problems, but also unique ones as well. I have met people who think that the MSA must be a musallah, and then I have met people who think that the MSA must be simply a social club for Muslims. In my opinion, it would be a great injustice to make MSA simply a place for prayer alone. In addition, I think it would be a great injustice to make MSA simply a place for Muslims to hang out and have fun. MSA to me is a place where you can pray your daily five salawat, but also find out who in your MSA shares your major and study with them! MSA to me is an organization you can go to for self-improvement reasons. You do not like the way you are living your life? 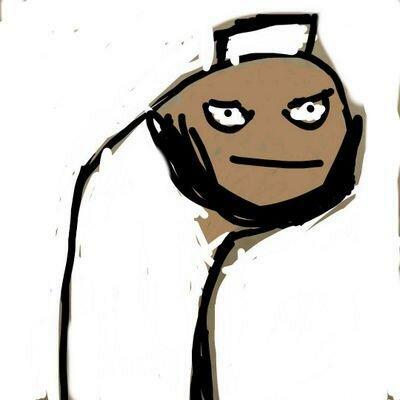 Alhamdulilah, brother so-and-so is basically a quasi-imam. Spend time with him, and bond with people who have an understanding of the Qur’an and authentic Sunnah. Let them be a means to your guidance in shaa Allah. Even though I was a local student, I was a very anti-social and awkward kid during high school and freshman year of college. How did I change my demeanor? Nice brothers and sisters from out of town reached out to me, and included me in their events. “Hey Khalafalla, want to play basketball?” That’s how it all started, and subhanAllah, it was by the wisdom of Allah ﷻ that now I am going into my second-term as President of the University at Albany’s MSA, the biggest MSA in our city. How did a quiet, awkward kid like myself reach such a status? Inclusion. Respect. As the years went by, I find myself being that very brother talking to someone who resembles that very quiet, awkward kid I used to be and I realized that it is all a cycle. Love people unconditionally, include them, and they will change themselves. Then, they will love people just like you did, they will include people just like you did, and furthermore, they will change their environment. May Allah ﷻ make us a people that try to emulate His Beloved Messenger ﷺ, and may He rectify our affairs, ameen. And Allah knows best. JazakAllahu Khair.